Even as a storyteller, I have dragged my feet to share one. Not because I was ashamed or embarrassed, but because I just didn’t think it was useful to do so. However, I was asked again recently to share this and as I put pen to paper, or more accurately, fingers to keyboard, I started to recognize why this story is useful and how it pertains to my goals of helping people find their story and tell it. 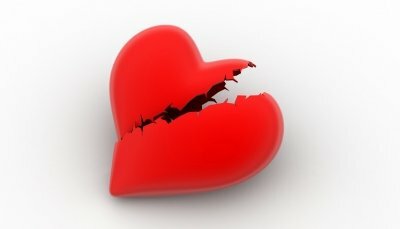 Some years ago, I broke my heart. You notice I didn’t say I had it broken by someone else. That would imply I had no responsibility and no control. The answer is because they represent a part of our story. Sometimes a huge part of our story. I was not a wise enlightened person at the end of that relationship. There were times when I was a puddle of sludge. Formless. Driftless. Cowering. I was fortunate that when that relationship ended, I left the country we were living in and came back to the states. I was fortunate that I was not reminded of him every corner I turned, or friend that I encountered. Even so, my thoughts were mostly filled with us. The us I thought we were. More importantly, the us I envisioned we would become. We tend to spend a great deal of time looking toward the future. This is a pretty common human characteristic. If it weren’t, the slogan “Live in the moment” would not be so popular. I had put a great deal of thought into creating a picture of a future that was no longer to be. But I was reacting like it was an actual future and not just one vision. I was thinking like this lovely picture I had painted was gone, but there is no way to know if it was ever a likely future to begin with, even if the relationship hadn’t ended. And that thought, when it finally occurred to me, was the turning point in my story. I realized this was a story. A story that I had written the end for, while the characters were still developing in the first couple chapters. And only one of the characters did I have control over. Me. While I had written that we would travel the world, and experience cultures together, and I would publish my books and he would train people in the art of combat, and I would speak in front of large audiences and we would make love on beaches, I very slowly began to understand that I had no control over his future, or anybody else that I was involved with, but I could still write my future. I could still travel and see the world, and read in bed, and go for rides on the beach. This was my story. I was in charge of it. I mistakenly believed that I could write our story and it would therefore come to pass. However, we can really only write our part of it, and even then, we need to be ok with reworking our character or exploring a different path for them. So, when I was asked to write about how I got over the greatest love of my life, it was intended to help someone else get over theirs. You are responsible for your own story and your own character. If you don’t like where your story is going, it’s up to you to change it and rewrite it. If your character is unhappy or unsatisfied in life, you need to make changes to him or her. Give her some new adventures. Send him to a new hobby. Understand though, that you can only write your part of a story. If somebody else chooses to be part of it, embrace it, but don’t assume you’ll be the same characters by the last chapter. Rewrites are a part of the business. And a part of life. A character or story that never develops is a dull one. Your character is up to you. Your story and the plot of your life is in your hands. Only you know what your character can or needs to be and how your story could go. Nobody else can write it for you, though many might try. And only a developed or developing character is interesting. Just because it ended doesn’t mean it wasn’t worth the time it was. Character development continues throughout all great stories. If this story is helpful or if you would like to share some of your own and how you dealt with the untimely removal of a character from your life story, share it in the comments. I’m always interested in how my story becomes part of someone elses, and vice versa. Also, please feel free to like and share this with anybody else you think might get something from it. That’s the greatest part of writing a story down. Image courtesy of cuteimage at FreeDigitalPhotos.net.